Forefoot running has gained almost universal acclaim for being a safer way to run as compared to heel strike running as mountains of evidence shows that forefoot strike running may suppress many of the harmful impact variables associated with heel strike running, suggesting that forefoot strike running could make the most positive difference in your injury prevention efforts. More reasons to run forefoot comes from the observation that many of the best short, middle and long distance runners in the world utilize a forefoot strike landing pattern, NOT a heel strike, suggesting that adopting a forefoot strike running style could be the proactive step you may need to bolster your performance. Studies pile up showing that forefoot strike running is one way to run with greater efficiency, while also generating other benefits, such as supporting lighter, less force intensive landings, making forefoot striking a slam dunk in helping to prevent impact-related running injuries, such as bony injuries. All in all, if you are a heel strike runner grappling with injuries, or if you are looking to improve your running performance, forefoot strike running may be the lightening rod to advance your performance and may be part of the solution to your injury problems AND, you will learn about how to run forefoot here! I always like to begin by underscoring that learning the forefoot running technique is much easier than you think! Why? Its hardwired in us, meaning that we as humans, who evolved as an endurance running species, have the full capacity to run barefoot without injury, thanks to the forefoot strike. It is an inescapable fact that humans evolved as barefoot runners whereby barefoot running brings together the kind of mechanics that provides a volumized amount of cushioning which in part, involves a forefoot strike, not a heel strike. Because of its incredibly low impact, high efficiency nature, forefoot striking during barefoot running may be a by-product of natural selection as it may have evolved as an adaptive trait to shield the body from impact in the absence of under-foot cushioning! Not to mention, when most habitually shod runners try running barefoot for the first time, they always seem to yield the same mechanical traits in that they automatically prefer landing on their forefoot which may hint that humans may have the forefoot strike running style hard-wired into the brain’s motor center. It’s for this reason I believe that the effects of barefoot running are genuine in changing the conditions that enable you to obtain a more accurate, softer, responsive forefoot strike landing. One of the well-known effects of running barefoot is reactivating the pressure and mechanoreceptors in the bottom of the bare foot which have strong links to the withdrawal reflexive system, stimulating more robust reflexive-withdrawal engagements of the leg that could lead to faster improvements in correcting mechanical discrepancies, such as over-striding, hyper-knee extension, poor hip extension and heel strike. This is how running barefoot helps deepen the mechanical attributes that make more efficient use of your lower leg mechanics, especially foot strike mechanics, serving as a powerful remedy that could prevent a lot of negative outcomes. This is also why the concept ‘less is more’ is really starting to become conventional wisdom! Because sensory feedback is enhanced, your brain becomes more focused on your landing strategy when you run barefoot and is the reason I think you are better able to learn forefoot striking when you run barefoot. Not to mention, the physical changes of the feet associated with barefoot running is another added benefit with greater clinical relevance as compared with traditional running shoes. There’s an underlying assumption that running without shoes is bad and will cost you an injury, but this default assumption is beginning to breakdown as new evidence supports the idea that barefoot running is a more nurturing environment for not only improved foot and ankle strength, but if used properly, can be tremendously effective at fine-tuning your biomechanics. Alberto Salazar believes that a little barefoot running, 2-3 times a week at 1-2 miles, is essential to improve foot strength and maintain adequate form. Not only that, Perkins et al. published a systematic review comparing the risks and benefits of barefoot and minimalist shod running and concluded that most minimalist shoes fail to fully replicate barefoot running. The results pointed to the fact that running economy and mechanics consistently differ between barefoot and minimalist shod running. Need more convincing about the benefits of barefoot running? Click here to learn what going barefoot can do for you. I’d like to make one last comment about barefoot running! Just to put the enormous value of barefoot running into broader context, if you really want to know how much of a strong influence barefoot running can have on being an effective partner in making your biomechanics more productive in a sustained capacity, look at the running form of most East African distance runners (most run forefooted)! We’ve seen the power of barefoot running play out on the world stage. 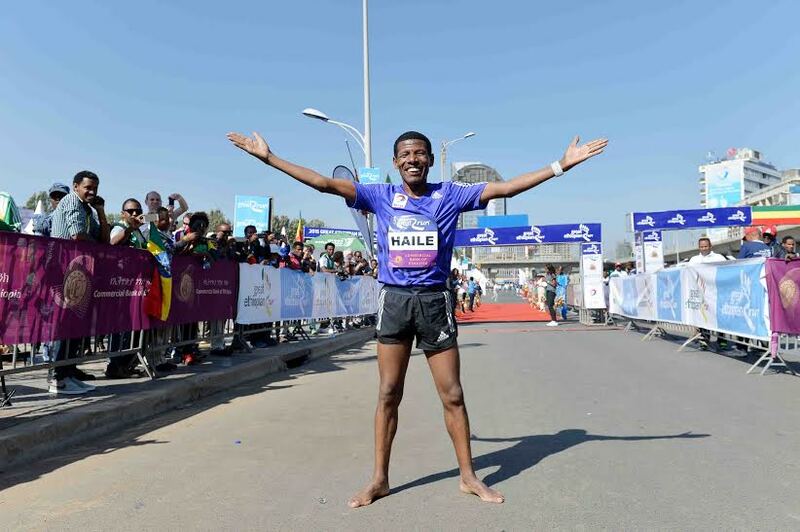 For example, Haile Gebressalsie, the most decorated distance runner in history, grew up running barefoot, like most East African professional runners. Based on his signature running form as a professional runner who now runs in shoes, suggests he retained much of his barefoot running mechanics, which helps put in place essential mechanical pieces that are really centered around his impressive running economy as compared to runners who grew up habitually shod. Always remember that much of his winning biomechanics are very much tied to having ran barefoot for so many years. One of the components that benefited most of East African distance runners is their deep barefoot running experience during their youth, which in my view, is how they came to achieve such unprecedented biomechanical effectiveness when they run in shoes. That really is the most important takeaway: running barefoot during childhood and adolescence, kept their (the East African’s) foot strength and efficient biomechanics going which helped them out later in life as shod runners. If you put barefoot running on your agenda, you too may have better mechanical readiness for when you do run in shoes. STEP 2. Hate the Thought of Going Barefoot? Minimalist Shoes to the Rescue! 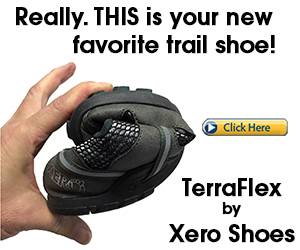 If you have no desire for signing on to barefoot running, you can still get a high return on investment in rebuilding foot strength and function in minimalist running shoes — running shoes that are incredibly stretchable, flexible, have a paper-thin outsole and overall, have the architectural framework that compliments the anatomy of the foot. Always remember that when it comes to making long-term gains in foot strength and improved biomechanics, sensory engagement has to be present. 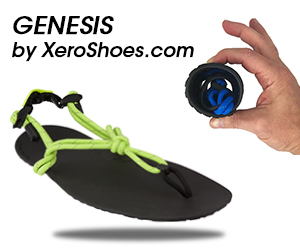 Why minimalist shoes have an important role to play in weaponizing your forefoot running form? Minimalist shoes have the architectural infrastructure to support the physical and sensory engagements within the foot/ankle complex necessary in helping you secure softer, less forceful footfalls, but also for advancing sustainable foot health. Click here to learn the other DONTs of forefoot running. Where Should You Look When You Run? If you want more advice on proper forefoot running technique, you can send me a video/photos of your gait for me to analyze. 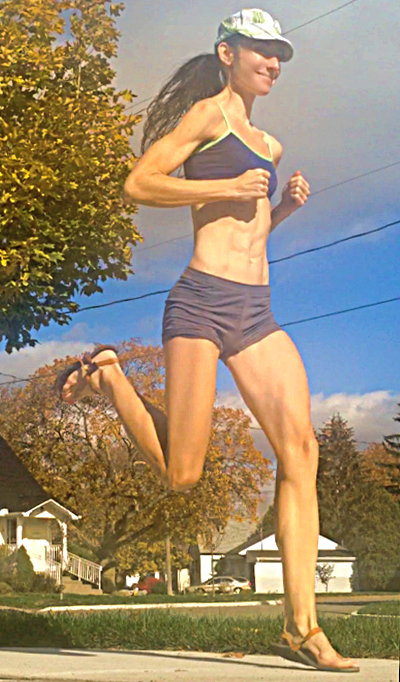 If you’ve enjoyed this blog post, you’ll love my YouTube Channel: here, where I discuss the health and performance benefits of barefoot running and I also have tons of video reviews of minimalist/barefoot-inspired running shoes suitable for forefoot running! Please keep Run Forefoot going strong by making a kind donation in any amount of your choosing! 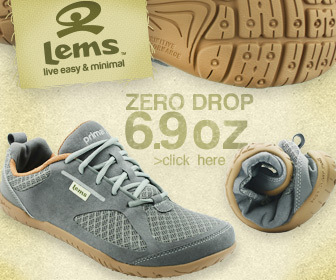 Or, you can also support Run Forefoot by doing your shopping through these links: Amazon, Zappo’s, Xero shoes, or Lems Footwear! Heel Strike – Heel strike running is not a fun way to run. Why? Because it causes injury, leaving you on the sidelines during races. Patellofemoral Pain Syndrome – Many runners suffer this dreaded injury, but many runners don’t know why. This article covers the main cause of knee injury in runners. Achilles Heel – Found out why heel strike running is such a daunting task for the Achilles tendon, resulting in injury to the tendon. Eccentric Exercises – We often hear about eccentric exercises, but you can achieve them just by running barefoot; find out how. Forefoot Shoe Review – Read my review on the FeelMax Osma 2, an under-appreciated forefoot running shoes that is a great tool to help you mechanically run your best. Perkins et al. The risks and benefits of running barefoot or in minimalist shoes: a systematic review. Sports Health, 2014; 6(6):475.480.